Description: It is a very small perennial plant with a brown body slowly growing atop a thick, underground taproot. It is a dwarf form of Eriosyce napina. Stem: About 3-5 cm across, 2-6 cm tall slow growing, spherical or flattened eventually becoming somewhat elongated in cultivation, with a constriction between the stem and the root, brown to dark purple-brown. Radial spines: Very short brown to grey pressed flat against the stem. Areoles: With grey felt becoming bare. Flower: Often larger than the plant itself from crown approx 3,5 cm long, 4-6 cm in diameter, pinkish with a silky shine ( but also white, pink, carmine, or brown) buds densely hairy with brown wool. Blooming season: Flowers already when young, synchronised flowering of the whole plants takes place over one or two days, and they remain open for about three or four days. Blooms in late spring to summer. 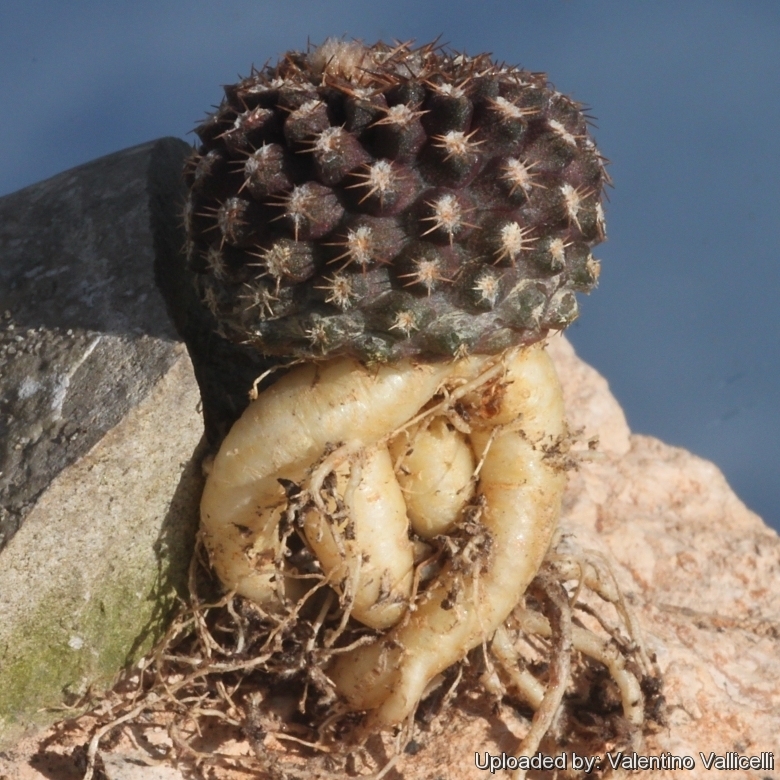 Pests & diseases: Eriosyce napina is especially prone to rot, therefore, underpot in a smaller container filled with a very porous compost.